The UFC is heading to Atlanta for UFC 236, which will be headlined by not 1, but 2 interim title fights. 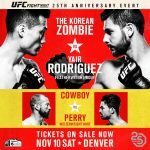 Max Holloway and Dustin Poirier will battle for the …. The UFC is heading back to Las Vegas for the UFC 235 PPV card this weekend. 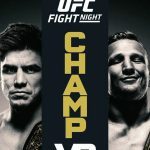 The card is stacked from top to bottom with two title fights (Jones vs …. The UFC is heading to Australia for the UFC 234 PPV card this weekend. The card is set to be headlined by a middleweight title fight between hometown favorite Robert …. UFC 232 was a great event to close out 2018 with Jon Jones and Amanda Nunes both dominating their respective title fights. I had a great event with my picks …. The UFC is heading back to T-Mobile Arena in Las Vegas for their year end show on December 29th. UFC 232 is set to be headlined by a Jon Jones …. 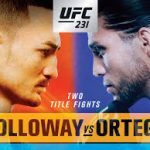 The UFC is heading to Toronto for the UFC 231 pay-per-view card. I’m actually going to be in attendance at this card, so I’m very excited and I actually think …. 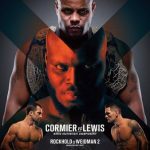 A busy month in the UFC continues after Daniel Cormier defended his heavyweight belt with a second round submission over Derrick Lewis at UFC 230 last week. This week the …. The UFC is headed back to Madison Square Garden for UFC 230. The MSG card is usually a flagpole event for the UFC, but that’s not the case this year. …. Update: Conor and Khabib have both made weight. This fight is a go! 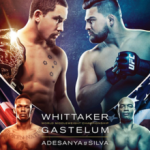 UFC 229 will be the biggest card of the year and has the potential to be the …. The UFC is heading back to Vegas on October 6th for what should be the biggest UFC pay-per-view event of all time. 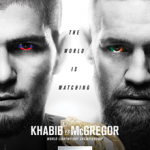 UFC 229 features the return of Conor McGregor, ….